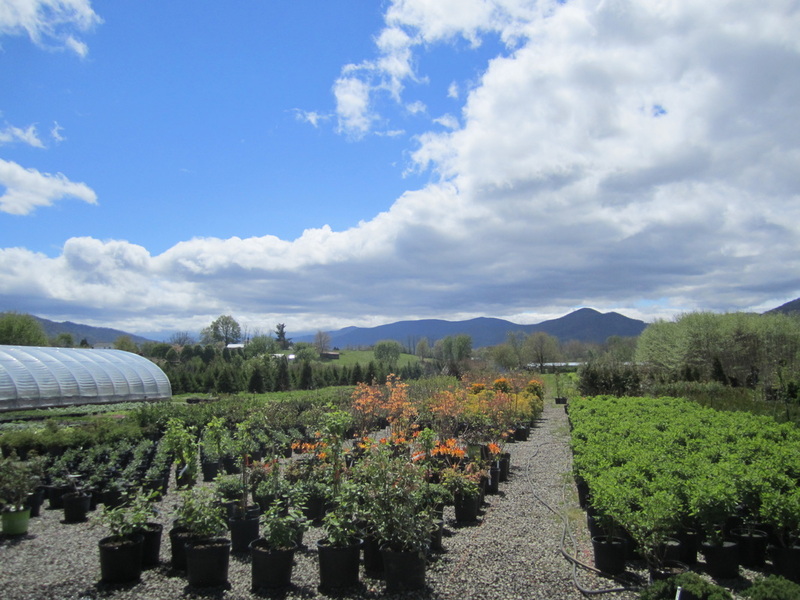 Welcome to Cold Mountain Nursery. Cold Mountain Nursery is a family-owned and operated plant nursery located in the beautiful Pigeon River Valley near Cold Mountain. Owners Steve, Phyllis, Josh, and Tracey Sorrells take pride in growing and offering to the public a large selection of high quality shade trees, shrubs, and perennials. 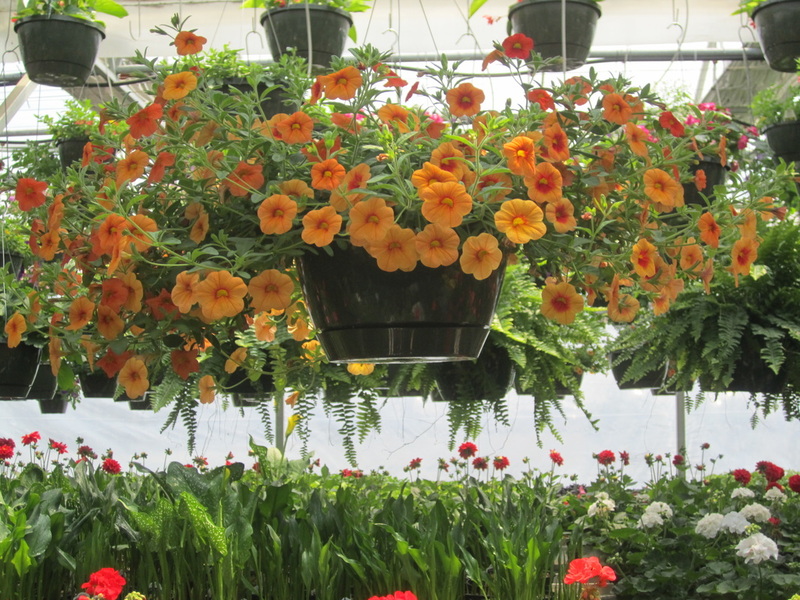 In our greenhouse during the spring we grow beautiful flowering annuals, vegetable plants, huge hanging baskets and geraniums. 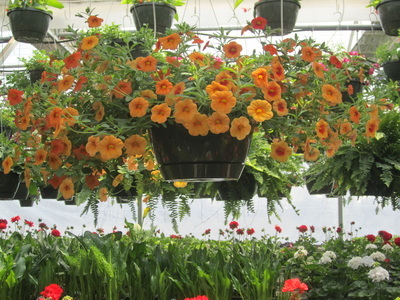 Folks that visit us tell us they are impressed with the variety and quality of plants we offer. They also enjoy the adventure of being in this beautiful valley and discovering plants they have never seen before. 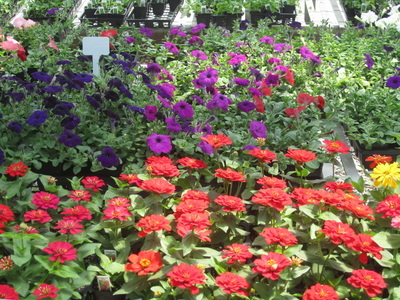 We offer a large selection of over 2000 high quality shade trees, shrubs, perennials, and annuals. 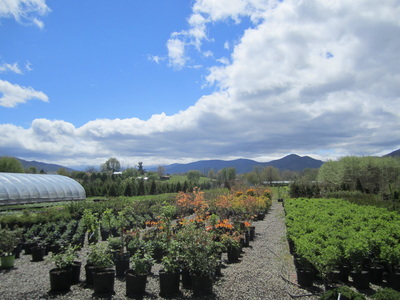 Plants grown at Cold Mountain Nursery are best suited for our area. One can also find some of the latest varieties that are being promoted in gardening magazines, as well as time tested plants. We grow an assortment of vegetable plants including heirloom tomatoes. We grow shade trees from 4’ up to 18’ tall. Shrubs are available in 1 gallon containers to 4’x 4’ field grown. 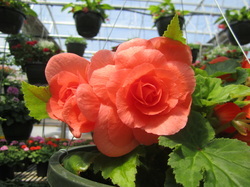 Perennials are usually offered in 4” pots and 1 gallon containers. The nursery also offers ﻿planting and landscaping services﻿, energy-efficient landscaping design, and a new program designed to offer the public a chance to donate a tree to a nonprofit. We are a very environmentally friendly business. We use state of the art growing techniques, like capturing and recycling water, using geo-discs to control weeds, and using energy-conserving curtains in the greenhouse. Our plants help erase carbon from the atmosphere by absorbing carbon dioxide from the air and releasing fresh oxygen back into the air. We hope you will come visit us. Click here for directions and hours of operation.